Fundamental Trends › Investing › Exchange Traded Funds › How Low Can We Go? Well, what is coming next appears to be an actual real live bear market. We can’t be certain of course, but if Friday ends with the S&P 500 below $253 on both the daily and weekly chart, well, that’s a recipe for a full on search for strong support. 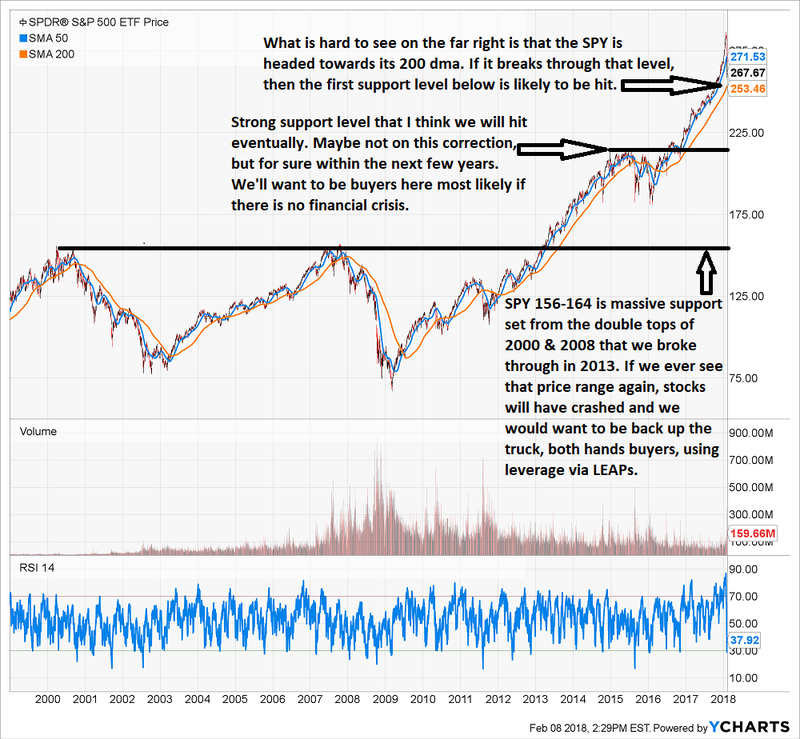 As I show in one of the charts below, strong support is quite a bit lower. So, long story short, it’s too late to sell much other than stocks you probably already knew were weak. And, it’s probably too early to buy with both fists, although I’ll sell a few cash-secured puts Friday just in case we rally off the 200 day moving average. 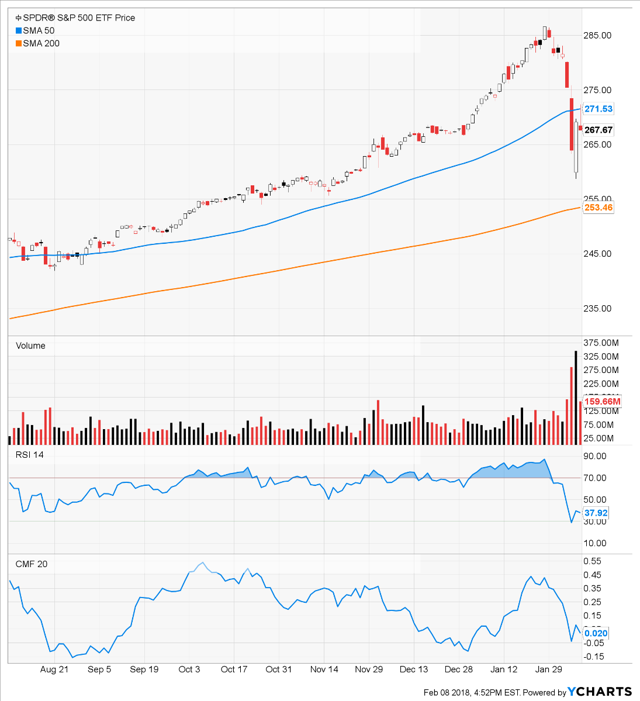 Things are moving so fast that I am going to take the road less traveled and bank on the bigger correction – breaking through the 200 day moving averages. Here’s the first chart I put up earlier in our chat. I had thought that the 200 day moving average would hold. I’m not so sure now. We’ll see shortly. But this is a set-up for the stock market to head lower on a weak Friday. We could very well see a negative feedback loop where actual humans start to sell, followed by more machine selling, followed by more human selling. Whether that happens or not is anybody’s guess, but we need to accept it is very possible and not be arrogant enough to think we can call this bottom before we get to a very firm support level. We have gotten two 1000-point down days now and I think a third might be imminent. If we break that 200 day moving average, we need to rethink our buy levels which I had previously set near the 200 day moving average. 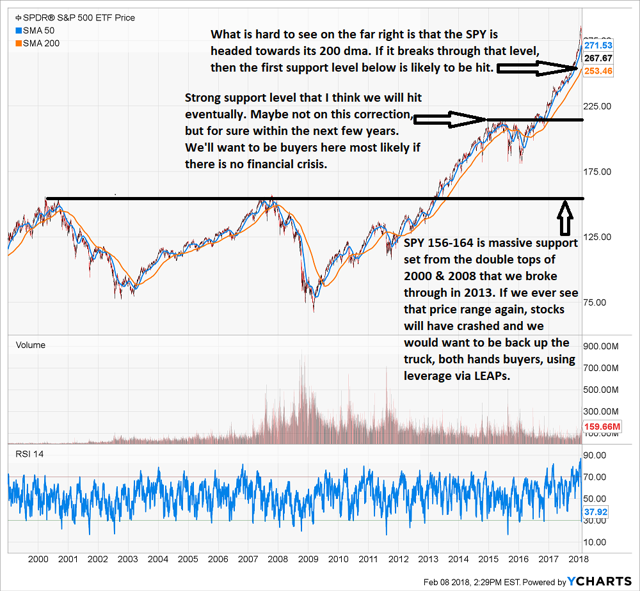 The first thing I want to do is figure out where strong support for the stock market is. It’s actually pretty easy to see. 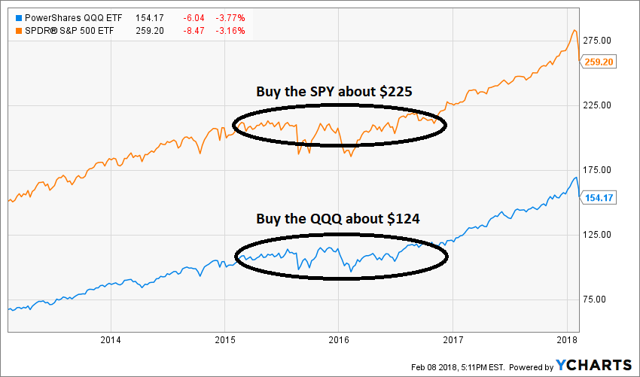 It’s the area where the stock market started to consolidate in late 2014 through 2015’s dual declines. That area of consolidation and corrections is a very strong support range. I am inclined to do heavy buying there. 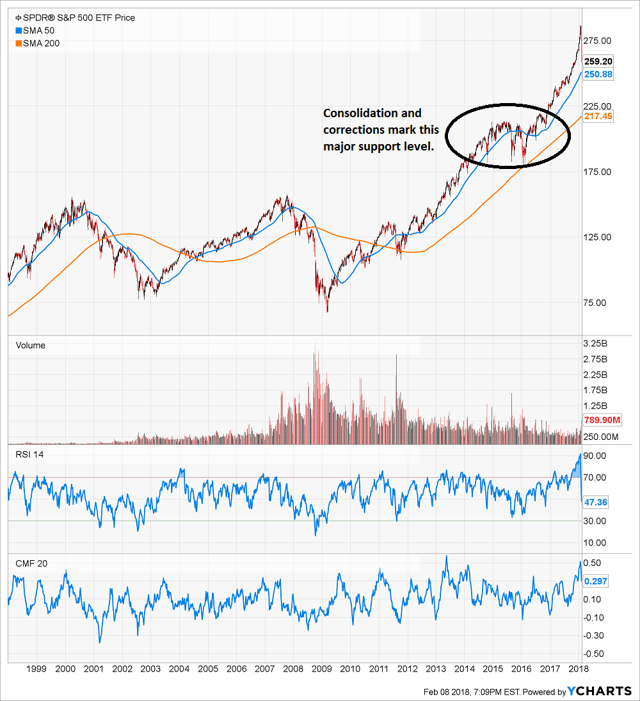 If we don’t hold the 200 day moving average, I do think that is where we are headed. Here’s what I am looking at. 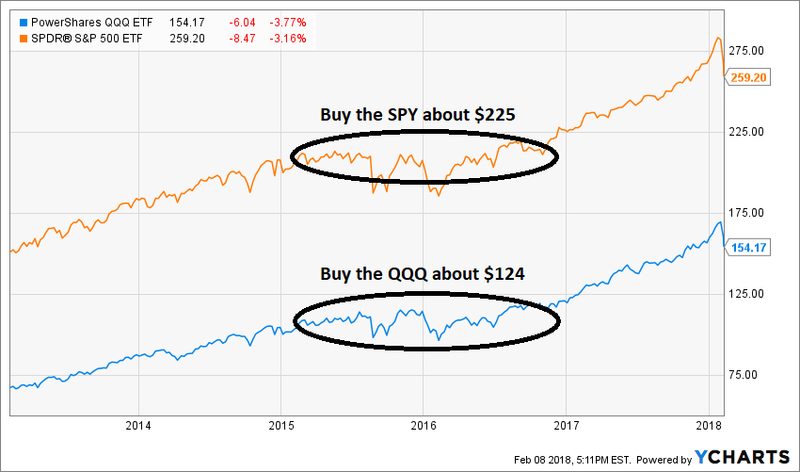 You know that I very much prefer the PowerShares QQQ ETF (QQQ) over the SPDR S&P 500 ETF (SPY) and the Vanguard S&P 500 ETF (VOO) because I prefer the newer economy stocks that are less capital intensive. I had previously set buy orders around the 200 day moving average. I am pulling those and lowering them. I’m setting buy orders around $124 on QQQ. I think we might get there pretty quick if the stock market doesn’t hold the 200 day moving average. I’m not willing to risk buying right now with momentum so powerfully to the downside. However, I have to allow for the reality that while I’m pretty good at this, nobody, not even me, can precisely know what the markets will do in any short time frame. 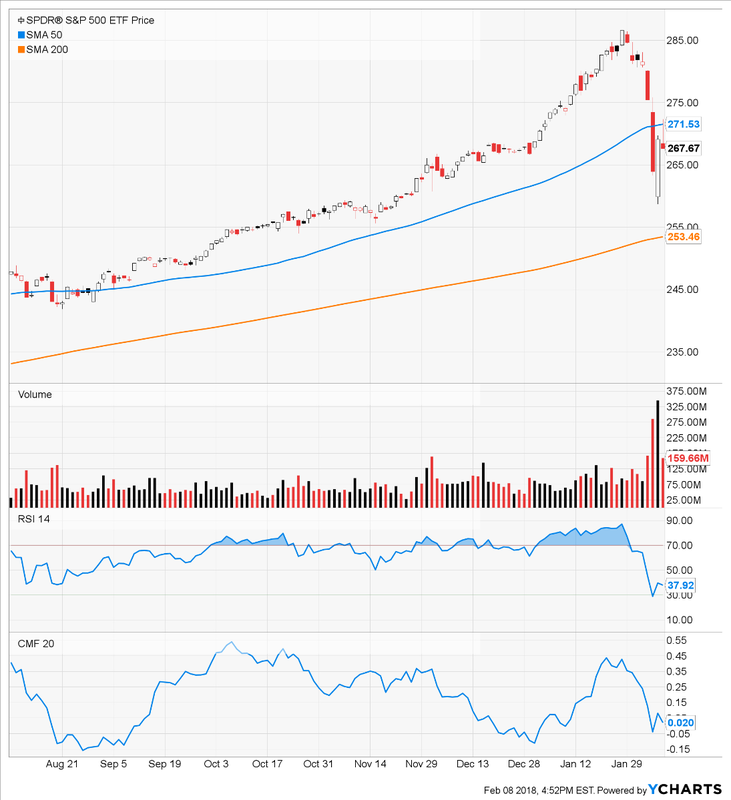 So, I am also selling a handful of select cash-secured puts on Friday in a handful of stocks that I highlighted for members to Margin of Safety Investing earlier this week.